Florida’s Lee County has so many islands that it’s hard to know which one is best for the type of getaway you’re hoping for. Are you looking for romance, independence, family fun, isolation, or escape? A daytrip, vacation, or long-term stay? 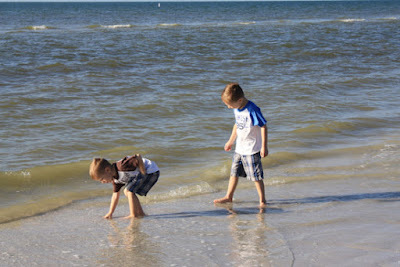 Here are some descriptions of beaches of Fort Myers and Sanibel, along Florida's warmer Gulf Coast, that will help you decide where to find your fantasy, or visit www.FortMyers-Sanibel.com . Roughing it: Are you invigorated by the scent of campfires and the embrace of a sleeping bag? Head to Cayo Costa, all-natural and untethered to the mainland. Marinas on Pine Island and Captiva Island can provide water taxi service. Call far enough in advance and you may be able to reserve a cabin, which isn’t all that much more luxurious than tenting– meaning both options are primitive. You’ll have to pack everything you need in and out. 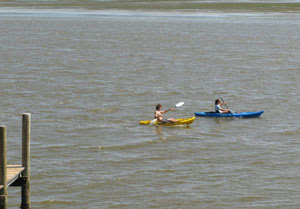 Restrooms and cold showers are the only conveniences provided by the state park. Living in the lap of luxury: Captiva Island has some of the plushest accommodations the other side of the Intracoastal Waterway, so if you’re looking to do nothing but laze on the beach, maybe play a round of golf or go yachting, reserve your room and luxuriate. Don’t forget to schedule a massage while you’re at it. Going rural: Fruit and tree farms, no stop lights, miles of countryside, even a cattle farm – Pine Island feels like you’ve traveled inland rather than out-island. Long and roomy, its lack of natural beaches means less traffic (aside from sometimes bustling Matlacha) and more affordable dining and lodging. Bare footing: If your idea of a getaway involves going shoeless the entire time, Fort Myers Beach has the perfect dress code for you. Okay, you may have to slip on some flip-flops from time to time, but the fine white sand and casual attitude give you permission to dig your toes in the sand and make a barefoot fashion statement. Beaches are for romance, too. Shopping, sipping, supping: Historic charm, cute shops and great restaurants is the formula that draws travelers off the main roads to Gasparilla Island, home of the sophisticated little beach town of Boca Grande. Browse shops, have lunch, and buy ice cream in historic venues such as a railroad depot and movie theater. Rub elbows with the locals at a beach bar, then, spend the night in the grande dame Gasparilla Inn, circa 1913. 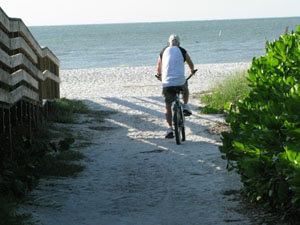 Bike paths let you explore the beaches. Family biking: Sanibel Island has added another 2.4-mile segment to its shared use path, bringing the total to more than 25 miles. Most of the path is separated from the roadway by vegetation, making it a safe trail for families to pedal along. 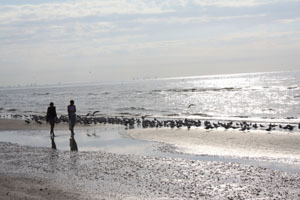 It runs the length of the island – from beaches and nature attractions to shops and restaurants. The newest segment links two city parks away from all vehicular traffic. Information courtesy of Tamara Pigott, Lee County VCB.